What is better than having a low £10 minimum deposit? Getting a bonus for it! 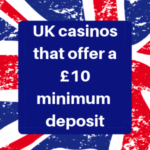 There are a lot of minimum deposit categories – £5, £10, £15, and even £20. Not all of these are offered with a bonus. In this article, you will find a list of the best UK casinos that offer a £10 deposit threshold with a match bonus. That means you only have to meet the low minimum deposit and you will still enjoy a deposit bonus from the online casino. Here are the online casinos offering a bonus for a minimum deposit of £10. 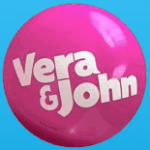 At Vera & John Casino, you only have to meet the minimum deposit for an online casino and you can expect to receive a bonus match of up to 200% or £100. 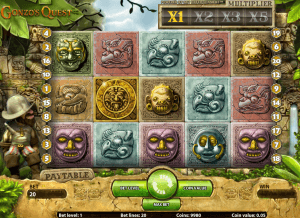 You can also receive 100 free spins. The bonus and free spins are paid automatically when you meet the deposit threshold – with the spins being given in instalments of 10 spins per day for 10 days. The wagering requirement is 40x. At Casumo Casino, you can get up to 100% match bonus or up to £300 for making a deposit of at least £10. You also have 20 free spins that can be used to pay Starburst after registration. There is a 30x wagering requirement when you do opt-in to the bonus and you want to withdraw the winnings associated with it. At Shadowbet Casino, players can make a £10 deposit and e qualified to receive a 100% match bonus that can go as high as £100. 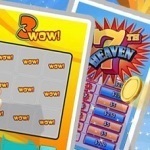 You can also receive up to 200 free spins. The wagering requirements will vary depending on the game you will bet the bonus on. 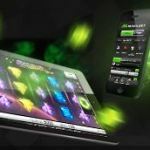 At Mobilebet Casino, you only have to deposit £10 to get a 100% bonus that can go as high as £50. This is applicable for the first four deposits that you will make – as long as you meet the minimum deposit requirement. The wagering requirement is 45x of the bonus. You can also get a £10 Free Bet after you open an account and make your first deposit. This will automatically become available within the next 24 hours. 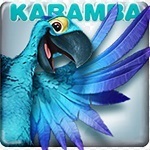 At Karamba Casino, you simply have to meet the minimum deposit of £10 to receive a 200% match bonus that can go as high as £500. Apart from that, you can also get 120 free spins. 20 at registration and 100 and deposit. 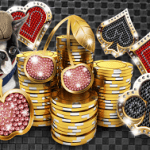 The free spins will be provided in installment – 20 spins after the first deposit, 40 spins on the second day after a minimum of £20 deposit, and 40 spins on the third day (same minimum deposit of £20). The wagering requirement is 35x. At Mr Smith Casino, your first deposit will get you 200% match bonus of up to £200 – as long as you meet the minimum requirement of £10. You also get to enjoy 50 free spins that you can use. For the bonus you receive after making the deposit, you need to meet the 35x wagering requirement to be able to withdraw the winnings you get from it. 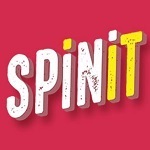 At SpinIt Casino, you only have to meet the min. deposit of £10 so you can receive a 100% match bonus that can go as high as £200. Apart from that, you also get 200 free spins that you get in installments of 20 free spins for the next 10 days. This particular bonus offer has a 40x wagering requirement. At Hopa Casino, you get to receive a 200% bonus of up to £500 for depositing a minimum of 10 pounds. You also get to enjoy 100 free spins that you can use on Starburst. For this bonus, you need to meet the wagering requirement of 35x. 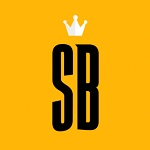 The wagering requirement varies depending on the online casino. The range is usually 20x to 45x – at least, for the casinos in this list. If you got £100 with a 20x wagering requirement, that means you have to bet £2,000 before you can withdraw the winnings you get. When looking for the best bonus for making a £10 minimum deposit, you need to be certain that you look beyond the value of what you will get. Sure, a bonus of £500 is attractive. However, the real value of that bonus will depend on the wagering requirement and also the terms and conditions of the casino.